F. P. Dorchak, 9780692944806, 500pp. "F. P. Dorchak writes like a hot-rodder heading toward a brick wall. Edge of your seat entertainment I pondered over each of these stories long after I'd finished reading them. That's what great writing is all about "
Dine at a tiny caf teetering on the edge of oblivion . . . Explore the emotional remains of a woman's not-quite-dead past . . . Follow a WWII airman falling through flak-filled German skies . . . These are but a few of the surreal, the weird, and the peculiar you will encounter in a realm few willingly tread . . . with or without the lights on. 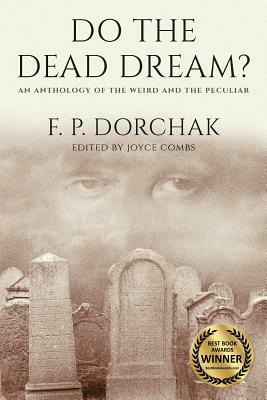 "Do The Dead Dream? is a masterpiece...."
"So reminiscent of the Twilight Zone "